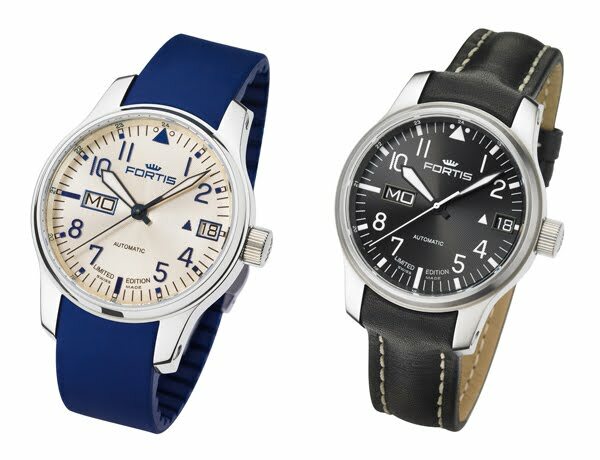 On the occasion of the 100th anniversary FORTIS launches a new Flieger line. 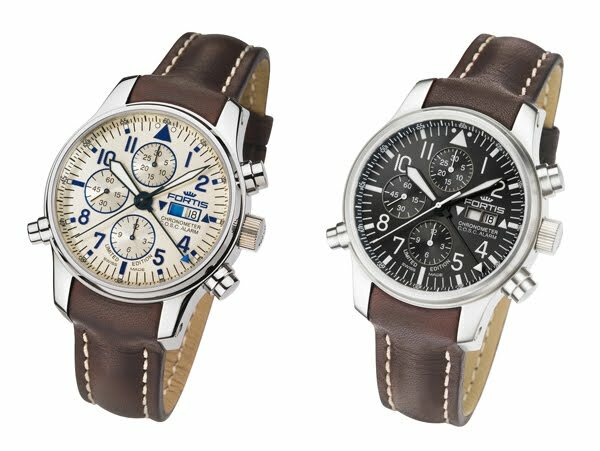 What has set a trend at the end of the 80s lasting until today, is now redefined in the new F-43 Flieger collection, showing the sharp profile of FORTIS as the result of decades of consequent model upgrading. 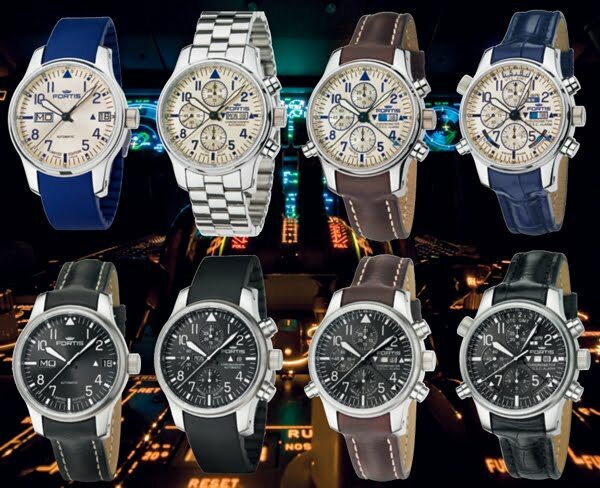 Starting with a classical, elegant 3-hand automatic with big day and big date indication, followed by the chronograph and the patented chronograph alarm chronometer C.O.S.C. 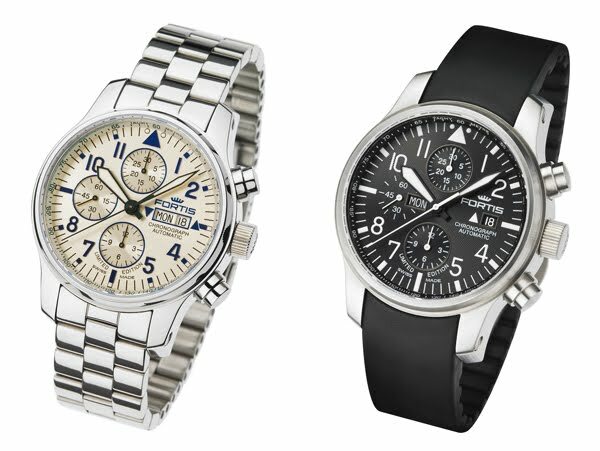 all watches incorporate an automatic, mechanical movement. 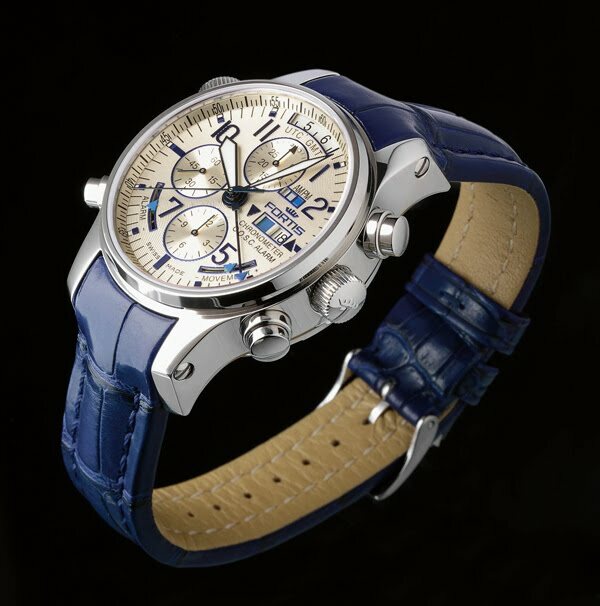 The highlight and masterpiece is the F-43 FLIEGER CHRONOGRAPH ALARM GMT CHRONOMETER C.O.S.C.. This worldwide unique and exclusive specialty comes with two spring barrels and two power reserve indications, one for the movement and for the alarm. Additionally, a 2nd time zone UTC / GMT and the time AM / PM from 0 - 12h / 12 - 24 h are displayed. The highly polished finish and the silver opaline relief dial, which requires a multi-step process are the main characteristics of this line with its dyed hands and the embossed numerals and indices. 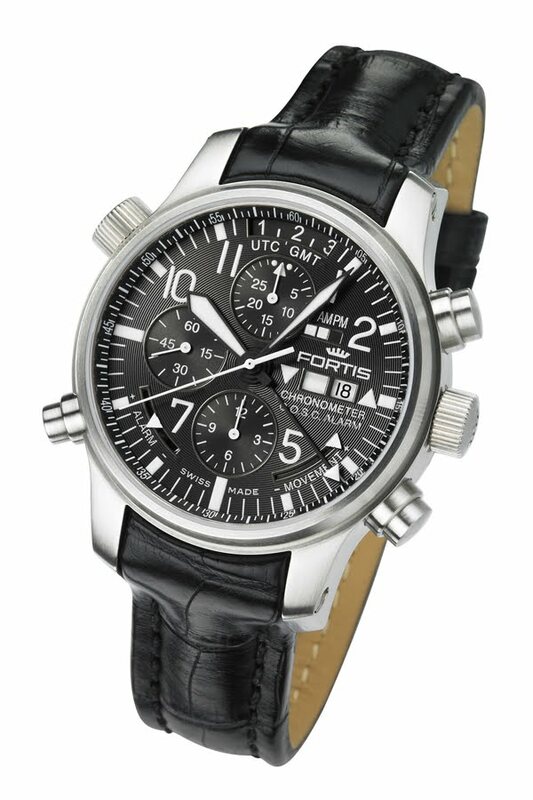 The typical FORTIS functionality of this elegant model is guaranteed by luminous coated skeleton hands and indices. The black contrast dial with relief structure, the typical FORTIS Flieger design and the decent finish of the brushed steel case provide the harmonic look. The straps, either leather, silicone, rubber or a steel bracelet with security folding clasp are available for the whole collection.